Writer's Workshop is a term that is blowing up teachers' Pinterest, Facebook and Instagram feeds right now and for good reason. From the beginning to the end of the year, you will continue to have writers on completely opposite ends of the spectrum. 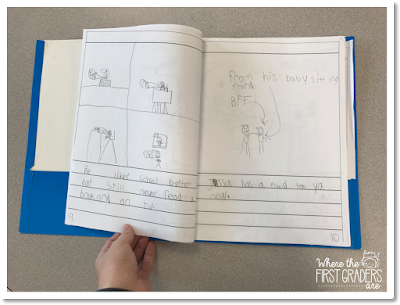 Writer's Workshop allows teachers the flexibility to work with each student on their level and the specific skills that they need. But you already know all of this. 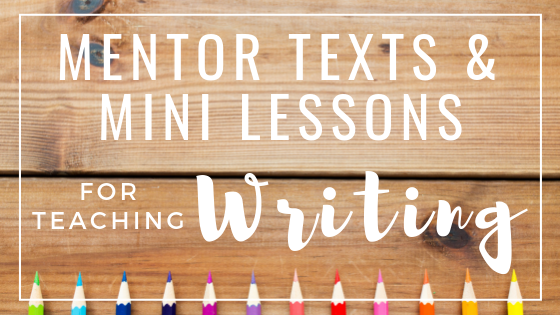 You don't need another textbook like post about the amazing benefits and perfect schedule of a Writer's Workshop. I'm here to give you the "Real Life, Mistakes I've Made, It's Not Always Pretty" version of what you really need to know. Before school even starts, here are a few decisions you need to make about how you want to spend your writing time with your students. 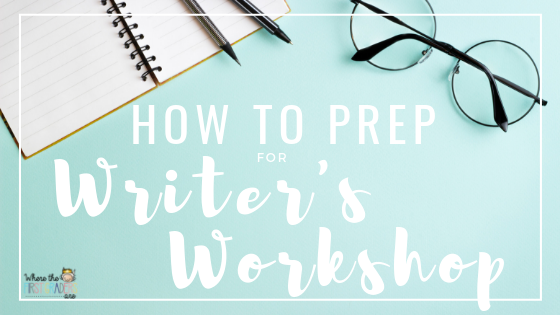 Your answers to these questions will help shape your entire Writer's Workshop structure. How long will your writing block be? How are you going to divide it up? Will you call groups back or will you walk around the room? 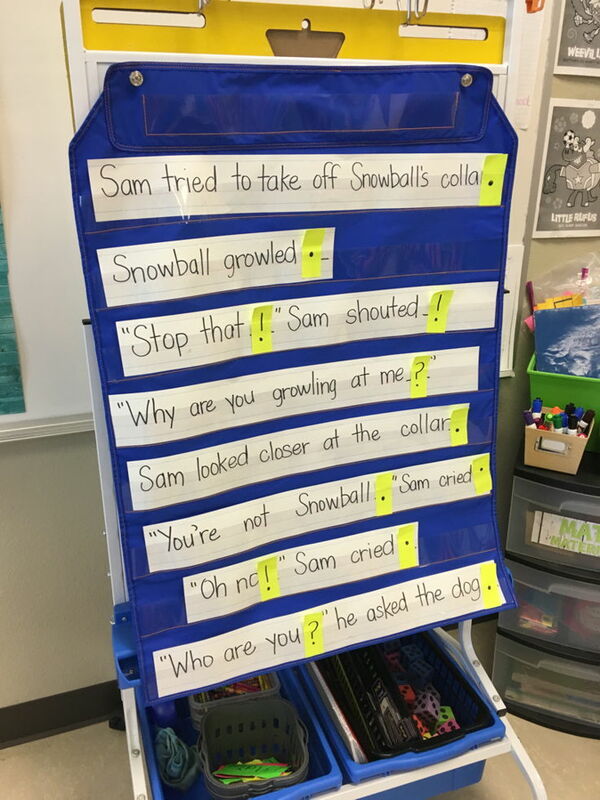 How will students organize their writing? Where will students keep their writing? What are procedures for starting a new story? Where do they get new writing paper? 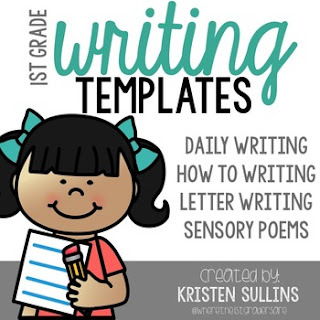 What kind of writing templates are you going to use? How do students need to “title” their writing (name, date, story title)? 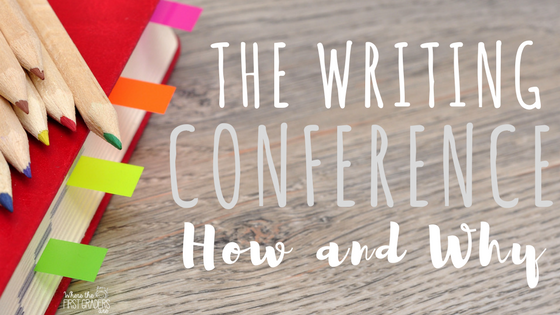 How will you organize your conference notes? How many times a week do you want to see each student? How will you track which students you have seen/need to see? I know this seems like a lot of questions to answer before school has even started, but I've found the key to a successful writing block from start to finish is consistency. 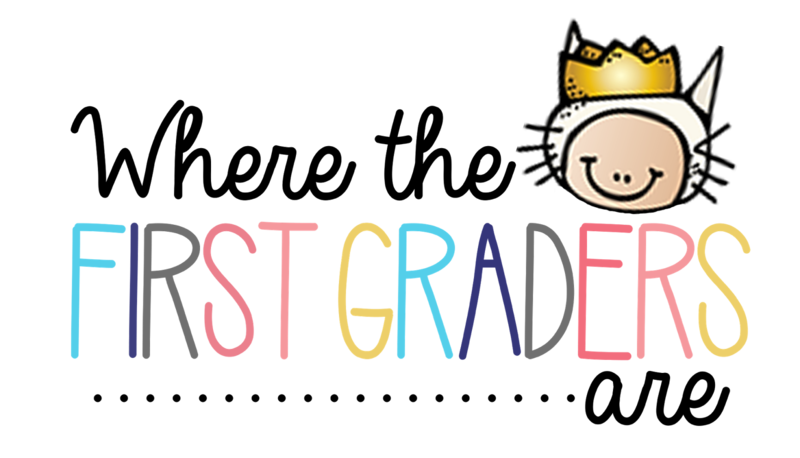 I'm not saying I don't tweak a few things here and there, but for the most part we keep the same procedures and same templates for the ENTIRE YEAR! But hey, that just means less planning on your part! When thinking about these questions, consider the mistakes I've made and AVOID them! Here's my typical schedule. Please keep in mind that this is AFTER students have already built up stamina to be able to write for longer periods of time. Call groups back or walk around the room? I honestly really like to call groups back to my teacher table AND walk around the room. It's a strategy I learned in my first year of teaching called Roam, Sit, Dip. Basically you get students working independently at their desk while you ROAM the room and make sure all students are on task. Then, you SIT with a group and DIP into their knowledge of what they are supposed to be doing. I let them practice for 5-10 minutes at my table then I send them back to their desk. Then, I get up and roam again and sit down again with a new group. 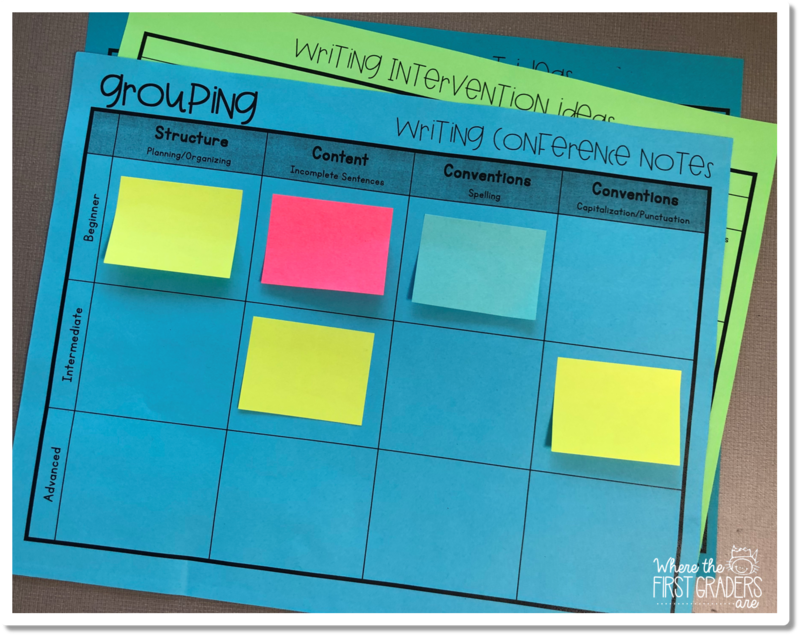 This method seems to work really well to minimize behavior problems and keep students focused during writing time because they know I could be getting up at any second to roam around the room again. I use this form for helping me create/organize small groups for my writing time. It allows me to get a good snapshot picture of my class and who is working on similar skills. I like to use sticky notes to list students' names so I'm not constantly re-printing the page. At the beginning of each year, I give each student a semi-heavy duty laminated blue folder that is forever known as their "writing folder", clever name, huh? It has the two pockets inside and brads in the middle. I really like this kind of folder because we punch holes in all of our writing. 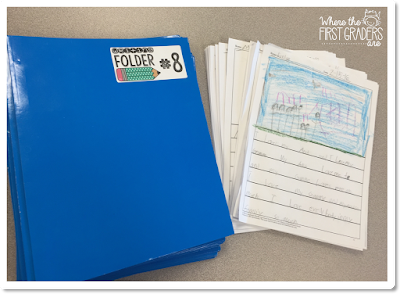 When a writing sample is complete, I put it in the bradded part of the folder so we can easily go back and see all of the students' writing samples for that unit. 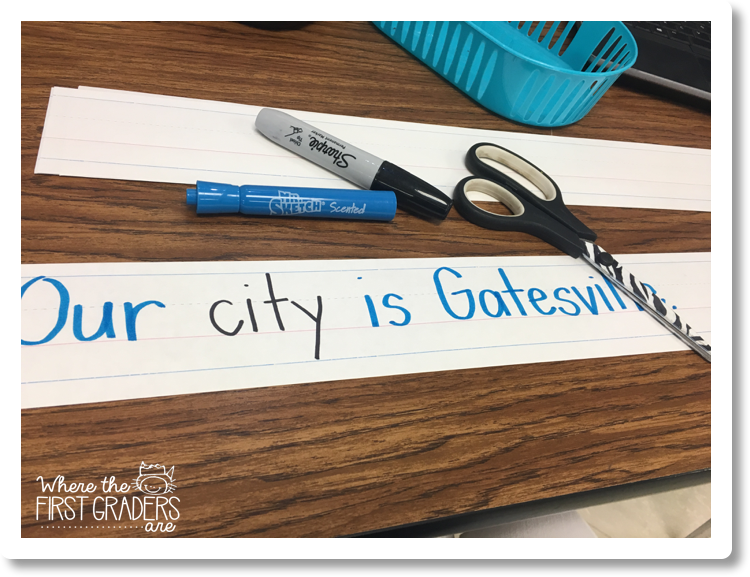 Keeping students' finished products also allows you a lot of opportunity to go back and edit/revise. The key for me this year to getting my students to become independent writers was to let them start and finish writing samples at their own pace. Some students would work for days on one sample and others would start and finish a new sample each day. To make this system work, I made a writing station in our room (a small black bookshelf from Wal-Mart) that had a tray on top for new writing pages. **Sometimes students would have two or three completed drafts turned in before I was able to sit down and discuss the drafts with them, but I promise you it was still OK!! 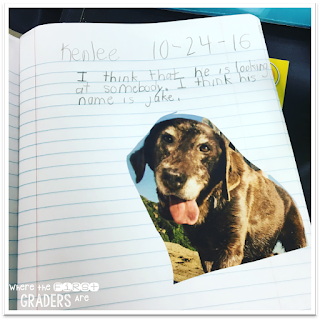 When can students work on their writing? I know this sounds like a silly question, but you seriously have to spell it out for some kids. AND it's totally up to you. Maybe you don't want students working on their writing samples during station time because you have a specific process you want them to follow and thats completely OK!! Was the quality of their writing during stations super great? Not really. But, it provided them a good time to go back and add the details to their pictures that they were missing. Or it allowed them time to share their story with a friend. Writing is a HUGE, lengthy process. Sometimes it's okay to let students pick the easy part. BUT, you need to make sure your expectations are clear and that students still have a purpose during this time. Need extra writing station ideas? I used the same writing template ALL YEAR LONG. I'm serious. I did not change that template one single time because students knew exactly what I expected them to do with it. Later on in the year, my students even knew how to number their own pages and fill in the table of contents. 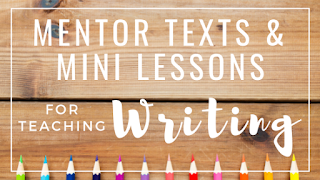 You can seriously use any kind of writing template that you already have, but if you are in need of some check out my year long writing templates. I tried keeping my conference notes several different ways. I will go into more detail of how and why to keep conference notes in a later post, but all you really need to decide right now is how you are going to organize them. Well, you have your homework cut out for you. Review the questions at the beginning of this post. Really give it some thought, you don't have to have all the answers right now. Because if we are being honest, everything always changes anyway. 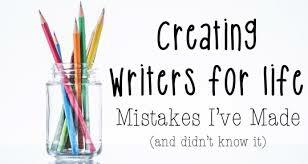 But, it will be good to give yourself some time to think about how you want to make Writer's Workshop work for YOU! !